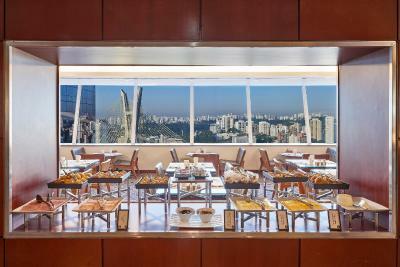 Lock in a great price for Hilton Sao Paulo Morumbi – rated 9 by recent guests! Everything was perfect. No exceptions. Staff was amazing, room was great. Breakfast was more than great. I really recommend this hotel. Breakfasts is plentiful and delicious. Room is spacious and comfortable. Everything was fine and as expected. 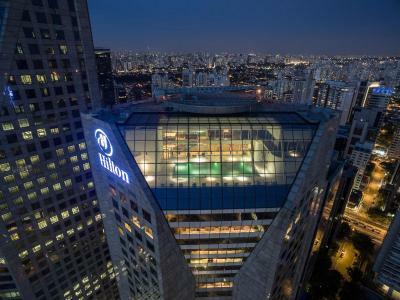 Hilton standards were met and cost-benefit was ok for a city like Sao Paulo. notwithstanding some small details bugged me. Excellent room, very nice and friendly staff, pets are well treated and very welcome! The King Suite is spacious and comfortable. 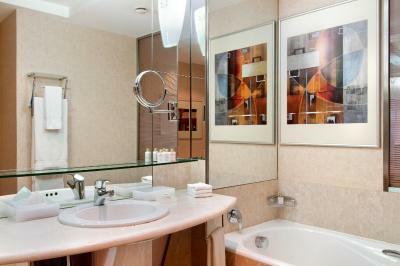 The bathroom has a separate area for bathtub and shower, two sinks, and bidet. The robes are very good. The Executive Lounge is very good. Everything was perfect! The hotel staff accomodated all of my requests and we had a great stay overall! 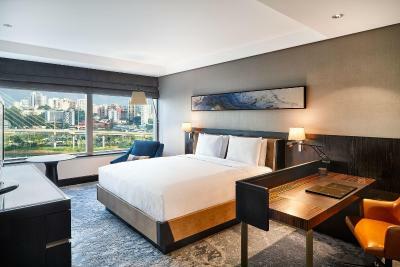 Hilton Sao Paulo Morumbi This rating is a reflection of how the property compares to the industry standard when it comes to price, facilities and services available. It's based on a self-evaluation by the property. Use this rating to help choose your stay! 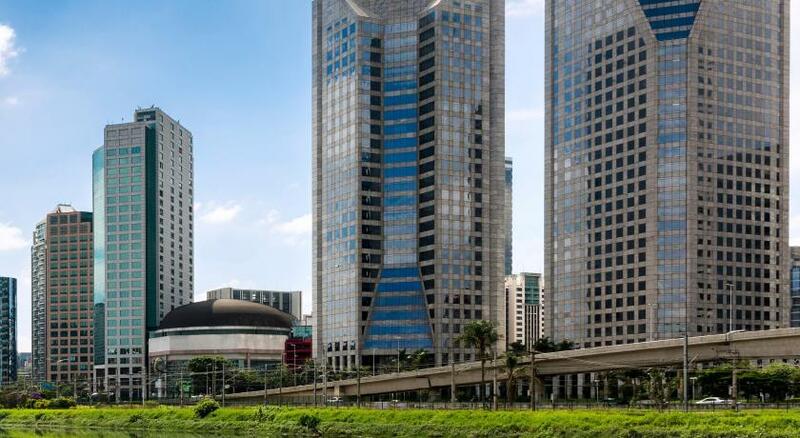 One of our top picks in São Paulo.Hilton Morumbi is located inside the CENU Complex, only a 5-minute walk from Berrini Avenue and WTC Convention Center in São Paulo. 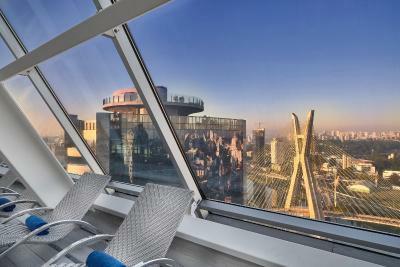 The hotel is 1,950 feet from Berrini Train Station and a 5-minute drive from Morumbi Shopping Mall. 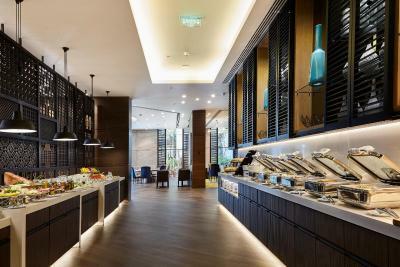 The spacious air-conditioned suites and rooms are tastefully furnished with comfortable beds, flat-screen TVs with satellite channels, internet connection,mini-bar and work desks. The private bathrooms include a shower and a bath tub. 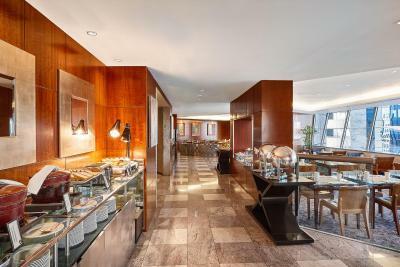 Some rooms offer access to the executive lounge, which includes private check-in and check-out, complimentary breakfast, free WiFi and a bar. 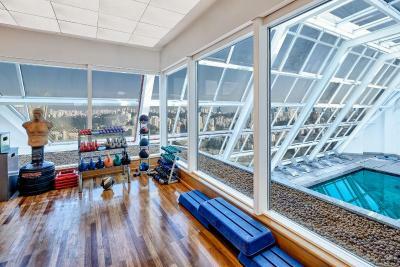 On its top floor, Hilton Sao Paulo Morumbi offers a well-equipped gym, where free fitness classes are provided. 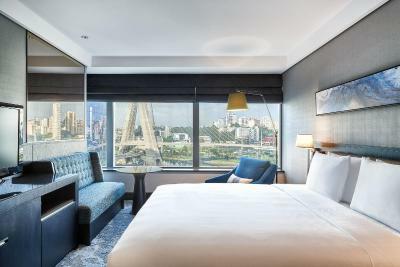 Guests can enjoy a stunning view of Ponte Estaiada suspension bridge, which can also be admired from most of the guestrooms. 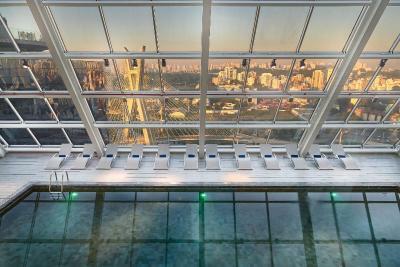 Hilton Sao Paulo Morumbi has a 28th floor swimming pool with panoramic views of the skyline and the Estaiada Bridge. The hotel also provides a glamorous spa, where relaxing treatments using natural products from the Amazon forest are offered. 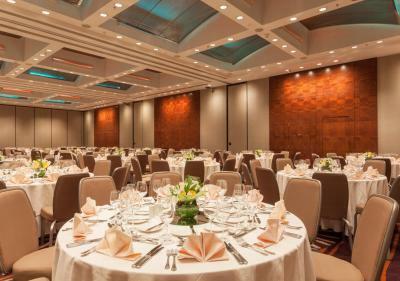 Efficient business facilities, meeting rooms, a wine cellar and several dining options are also available in the hotel. 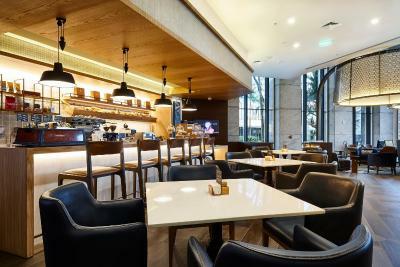 The hotel is only 4.3 mi from Congonhas Airport and offers direct access to Nações Unidas Avenue. 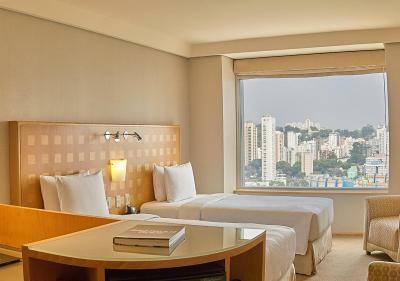 When would you like to stay at Hilton Sao Paulo Morumbi? 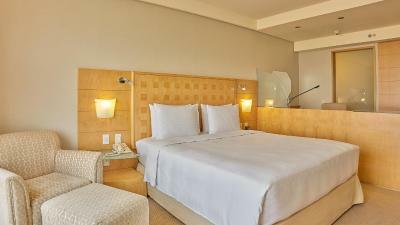 This air-conditioned king room features a flat-screen TV with satellite channels, a work desk and a mini-bar. The private bathroom includes a shower and a bath. 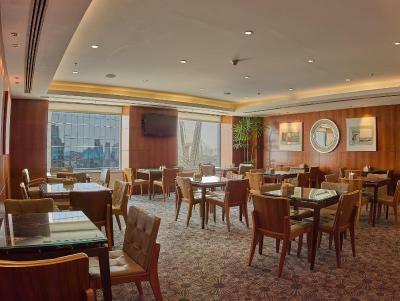 This room offers access to the executive lounge, where guests will find an exclusive breakfast and happy hour. With city or river views, this room features an armchair with an ottoman,spacious work desk, air conditioning and a mini-bar. The marbled bathroom includes a shower and bathrobe. Wi-Fi is available. 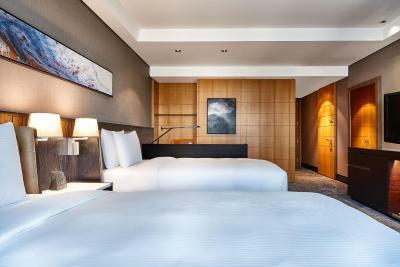 This air-conditioned twin room features a flat-screen TV with satellite channels, home theater, a work desk and a mini-bar. The private bathroom includes a shower and a bath. 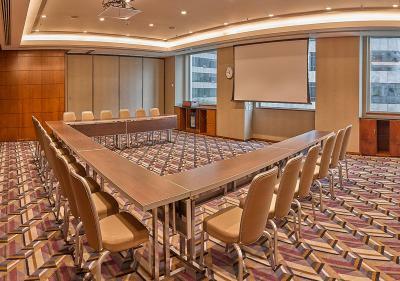 This air-conditioned room features city views and is especially furbished for guests with mobility limitations and features a flat-screen TV with cable channels, a work desk and a mini-bar. The private bathroom includes a shower and a bath tub. This air-conditioned room is especially furbished for guests with mobility limitations and features a flat-screen TV with cable channels, a work desk and a mini-bar. The private bathroom includes a shower and a bath tub. With modern furniture. 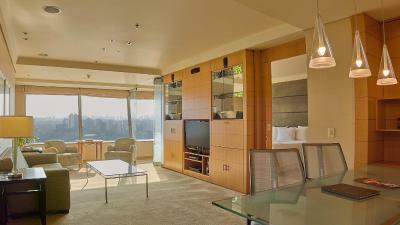 this room features air conditioning, a mini-bar, a flat-screen TV with satellite channels and a work desk. The private bathroom includes a shower and a bath tub. With modern furniture, this twin room features air conditioning, a mini-bar, a flat-screen TV with satellite channels and a work desk. The private bathroom includes a shower and a bath tub. 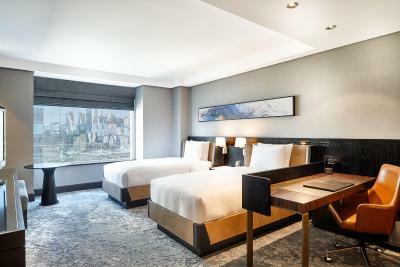 With modern furniture,this king room features Estaiada Bridge views and features air conditioning, a mini-bar, a flat-screen TV with satellite channels and a work desk. 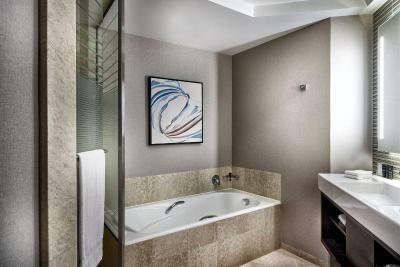 The private bathroom includes a shower and a bath tub. 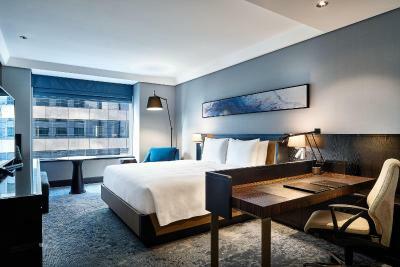 With modern furniture,this twin room features Estaiada Bridge views and features air conditioning, a mini-bar, a flat-screen TV with satellite channels and a work desk. The private bathroom includes a shower and a bath tub. This air-conditioned room is especially furbished for guests with mobility limitations and features a flat-screen TV with cable channels, a work desk and a mini-bar. The private bathroom includes a shower. 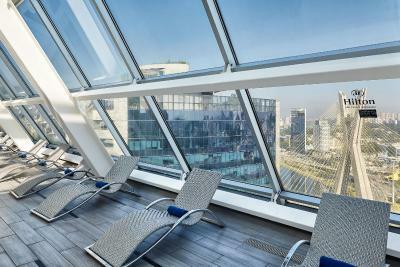 Stay with us and indulge yourself with the greatest experience! 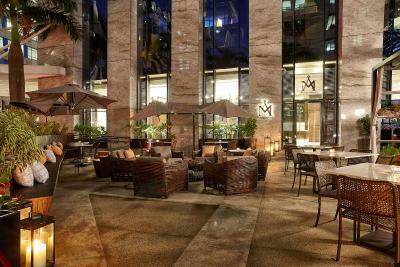 The Hilton Morumbi is located near to the best malls and parks on town and close to the Berrini Avenue to also host our business travelers. 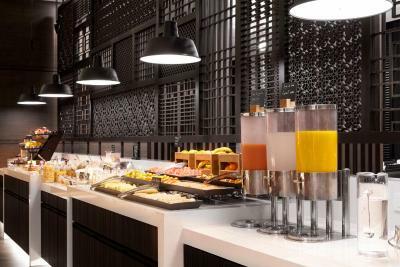 We do offer the highest gastronomy with three restaurants and 24/7 Room Service, relaxing options on our SPA and well-equipped gym with top floor pool! 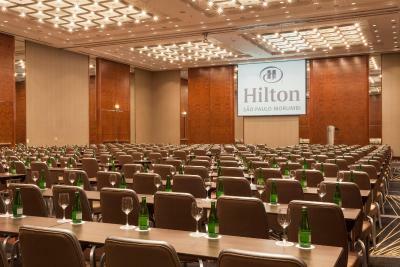 All the team members are waiting for you, with the best Hilton service! Stop looking around and book with us! 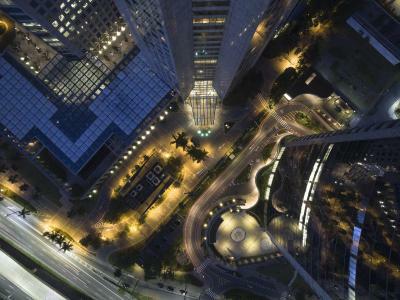 We are more than pleased to welcome you in São Paulo and all over the world! 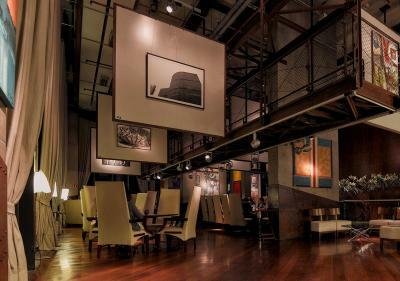 Wired internet is available in the hotel rooms and costs BRL 60 per 24 hours. 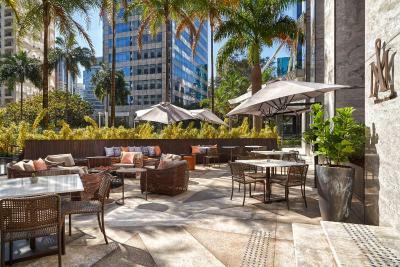 House Rules Hilton Sao Paulo Morumbi takes special requests – add in the next step! 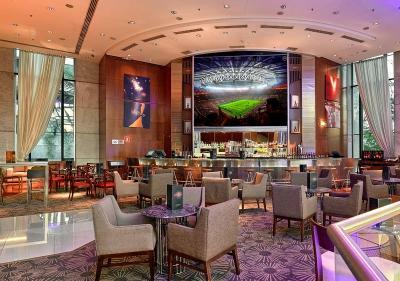 Hilton Sao Paulo Morumbi accepts these cards and reserves the right to temporarily hold an amount prior to arrival. Please note that after check in, early departure fees apply for check outs prior to scheduled check-out date. In these cases, 100% of one daily rate will be charged. 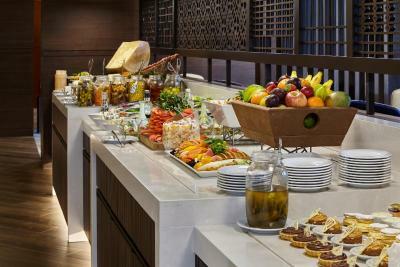 Please note that the half board package is offered on some weekends and includes breakfast and dinner. 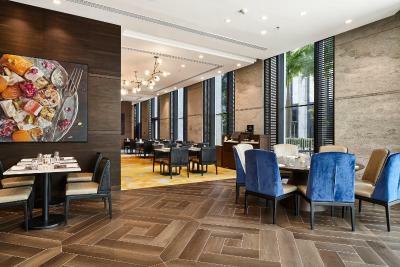 The dining options are available according to the chef's menu. Please contact the property for further details. I would of preferred a more firm bed. 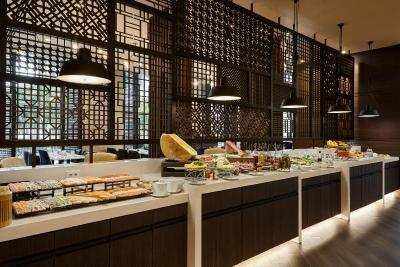 Breakfast could have more fruit and typical Brazilian dishes options available. For 3 days the food was the same with nothing different. The pool and gym is privately managed, therefore the swimming pool has noisy swimming classes and sometimes, its not possible for the guests to swim. its not acceptable at this price range. The room costed 300€ night. 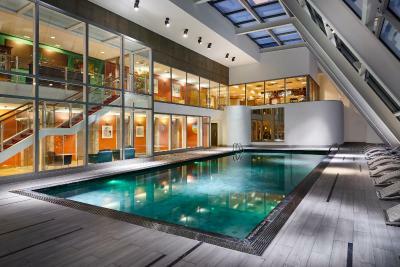 A guests only private pool relax area is an expected commodity. Big cues at the reception. at 12:00 a hotel with around 500 rooms, having only two receptionist working results in big cues. 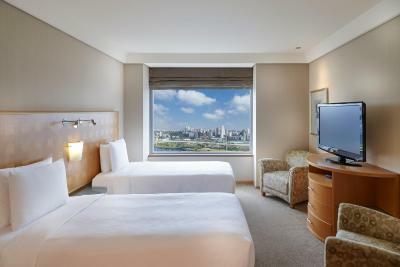 Comfortable spacious modern rooms with great views. Great comfortable bed. Fantastic sleep! Nice modern bathroom! The room was clean but very old. Need new carpet, paint and curtains at least. The airconditioning made a lot of noise and in the middle of the night several times an extra noise which sounded like someone “ hand clapping”. So didn’t sleep well. In my opinion, the mattress was too soft, it kept bouncing when my husband was moving on the other side of the bed. We ordered breakfast in our room and it was very pricey. The menu said that "all breakfasts" would come with bread, jelly, butter and ours did not. When I called the front desk to complain, they said that only the first 3 breakfasts on the list would come with those items. Our breakfast cost basically the same price as those. Apparently they don't know what "all" means. The bedroom was very nice and the location is very good. Breakfast it is very good . 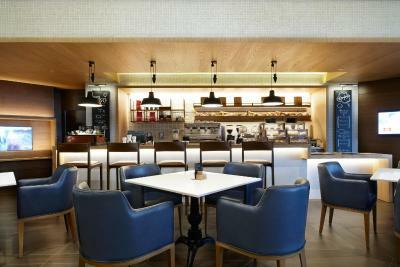 We like everything at Hilton Morumbi. The water in room’s shower and tap smells like mold, I talked to the concierge but nothing was done. The eggs used on breakfast are industrial pasteurized and taste terribly! !